Although they are among the lesser known DDA services, Community Guide and Community Engagement play an important role in helping people connect to their local communities. If that description seems a little broad, Krista Milhofer would probably say that’s a good thing. 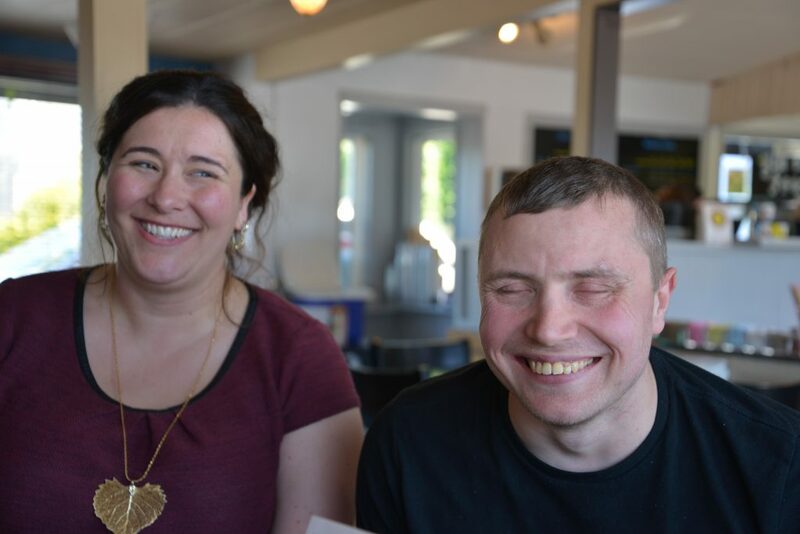 After receiving a referral from a DDA case manager, Krista works with the individual (and family if needed) to find out what goals they want to work on. From there, it’s all about getting out into the community and meeting people who can help make things happen. Krista supports individuals pursuing a wide range of goals: taking steps to be more independent; researching affordable housing; taking classes; filing taxes; and pursuing lifelong dreams. Along the way, it’s been all about meeting new people and building relationships. In other words, the kind of life the person wants to live. It’s not about what the system wants to provide. It’s about what the individual wants to choose for themselves. “There’s a real need for this,” she says. “I mean, the resources are out there, but people just don’t always know how to access them.” Community Guide and Engagement services are the link that brings it all together. She points to Michael, her first Community Guide customer, sitting next to her in the coffee shop. “Michael, do you want to share what your goals are?” He perks up and pulls out a sheet of paper. At the top of his list of goals: starting a band. “This Is Us,” he says, grinning as he shares the band’s name. And that’s how it started. One step at a time, following leads and meeting people along the way. Connections build with each contact, and Michael experiences how to make things happen. Michael’s confident smile says it all. “I want to see my sisters,” he tells her. It’s one of his new goals, along with moving out of his current living situation into his own apartment. Krista says she spends about 15-30 hours per month with each individual, as well as their families. One family she’s working with has needed help getting assistive technology. “The family was nervous about driving up to do the [technology] assessment, and all of the steps involved in the process.” Krista walked them through what needed to be done, and provided assistance and support through each phase. She went a step further and enlisted the help of Ron Schooler, who has more expertise in technology. He’s in the process of contracting with DDA to provide Community Guide and Engagement services. It’s Krista’s hope that he can be the go-to tech person for other Community Guides in the area. 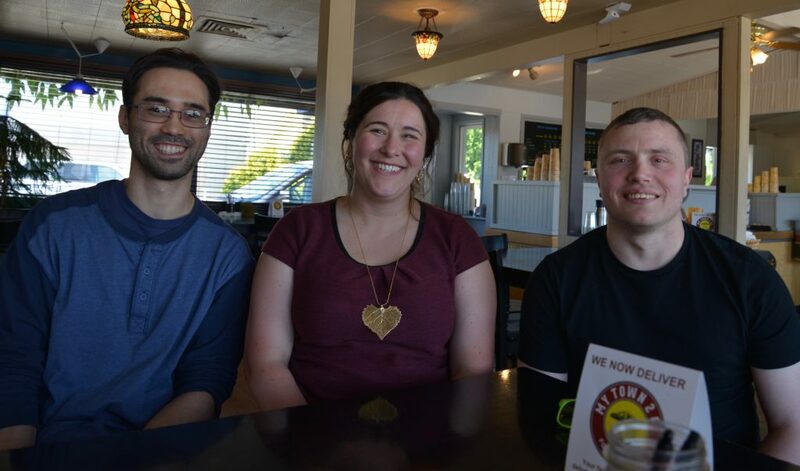 “I usually meet clients in a coffee shop.” (l-r) Ron, Krista, Michael at Olympic Crest Coffee Roasters in Lacey, WA. Coming together pretty much says it all when it comes to what Krista and other Community Guides do. They bring people together, reaching goals and building community. Community Guide is a service provided under DDA’s Basic Plus and Core waivers. Community Engagement is a service provided under DDA’s Individual & Family Services waiver. If your family member is enrolled in one of these waiver programs, contact their DDA case manager to find out how a Community Guide or Community Engagement provider can help them reach their goals. View or download DDA’s Community Guide and Engagement Services flyer. Learn more about Krista Milhofer at Planning the Next Steps.